LABORATORIES, COLLEGES, HOSPITALS, RESEARCH APPLICATION. Accu-Scope Digital Zoom. 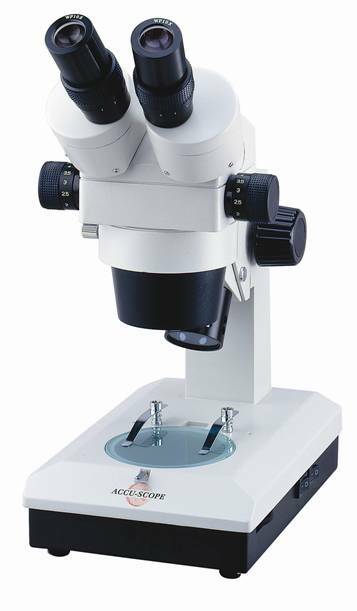 Based on the popular 3061 Zoom Stereo Microscope Series, these digital zoom stereo's incorporate either a 3.2 megapixel or 1.3 magapixel high resolution digital camera and Micrometrics SE imaging software. 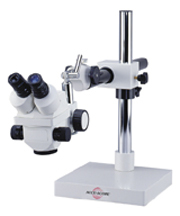 Designed for industrial, classroom, and life science applications these microscopes offer the best of plug and play capability and allow for the microscope and camera to work independently of one another. 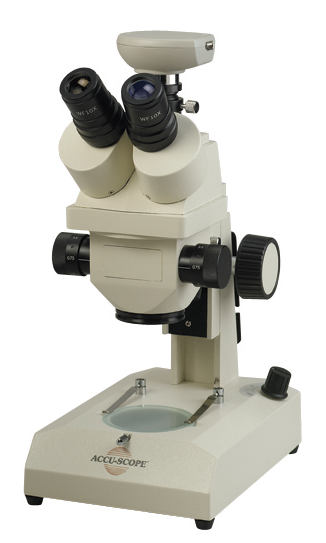 This microscope is an inclined trinocular, zoom stereo microscope,with a 3.2 megapixel digital camera, Micrometrics SE software, WF 10x/20mm eyepieces, 0.7x-3.5x zoom range, lens shield, incident 6v 15w variable dichrohic halogen illumination, and transmitted 5 watt fluorescent illumination, dovetail stand. Accu-Scope Digital Zoom. 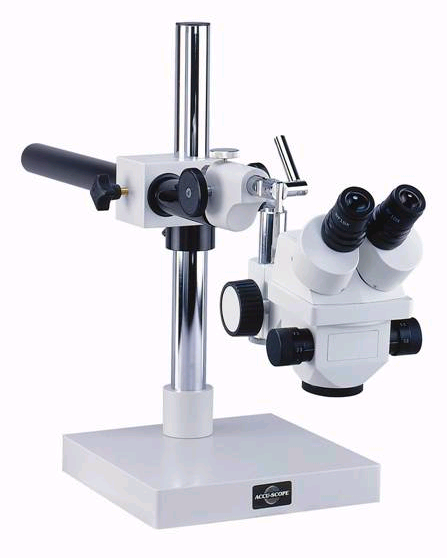 3.2 megapixel camera, Micrometrics SE software, HWF10x/23mm eyepieces with 21mm field of view Trinocular viewing head, inclined 45º and rotatable 360º; 100% or 20/80% light distribution split (binocular 100% or binocular 20% / trinocular 80%) Interpupillary distance adjustment range of 55mm-75mm Dual diopter adjustment of ±5 Objective zoom magnification range of 0.65x – 4.5x Zoom ratio of 7:1 Dovetail stand 1.0x lens shield to protect objectives from accidental damage Large dual focusing knobs with adjustable tension control Variable 6 volt 15 watt dichrohic halogen incident (top) illuminator and 5 watt fluorescent transmitted (bottom) illuminator. Accu-Scope Digital Zoom. 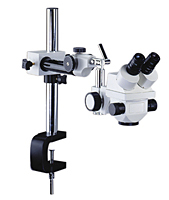 Sharp, high resolution, three-dimensional images offer users a powerful, professional zoom stereo microscope designed to withstand rigorous undustrial use. The large magnification range and long working distance simplifies observation makes this series ideal. Trinocular, 3.2 megapixel digital camera, Micrometrics SE software, HWF10x/23mm eyepieces, 0.7 -4.5x zoom range, glass lens shield, universal stand w/horizontal & vertical focus mount movement. Accu-Scope Digital Zoom. 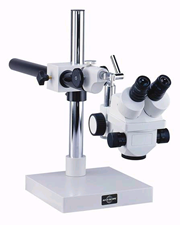 Inclined trinocular zoom stereo microscope. 3.2 megapixel digital camera, Micrometrics SE software, HWF10x/23mm eyepieces, 0.7x-4.5 zoom range, glass lens shield, bonder arm, c-clamp stand with articulating (flexible) arm stand.